artifacts–from classic cards that have become staples in Commander to all-new cards from Aether Revolt. 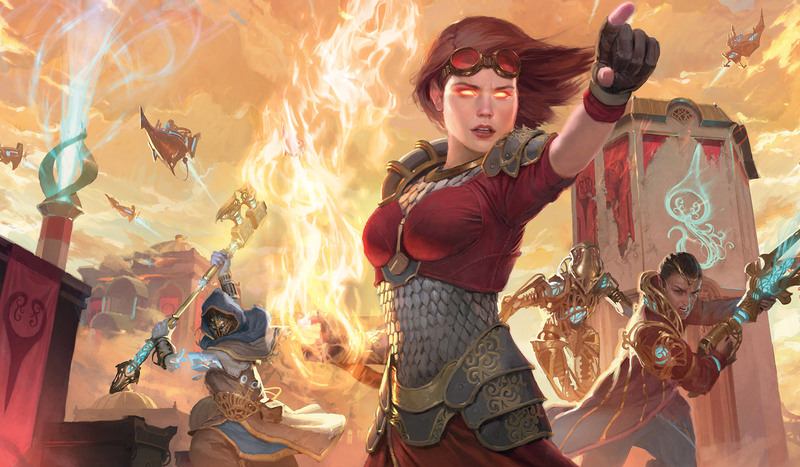 This is a sealed deck event where each player will receive a special kit containing four Aether Revolt packs, two Kaladesh packs, a promo card, and a spindown life counter. Continuing in this set, ANY rare or mythic rare can appear as a date-stamped promo card! Each player builds a 40 card minimum deck from the cards in their kit and basic lands (bring your own or use ours). Pre-registration is STRONGLY recommended. Pre-Release events are very popular and have sold out before. Avoid disappointment and pre-register early! Avoid lines and hassle and pre-register online. In addition to guaranteeing your spot in the event, pre-registering and pre-paying will give you TWO entries into the door prize giveaway. Pre-register and pre-pay for 3 total events across the weekend and receive THREE door prize tickets per event! Door prizes will vary by event, but the grand prize will be a copy of From the Vault: Lore. Promo Board of Mystery! The Board of Mystery will be seeded with lots of promos from previous releases, including some special surprises!